It's time to update our basics. 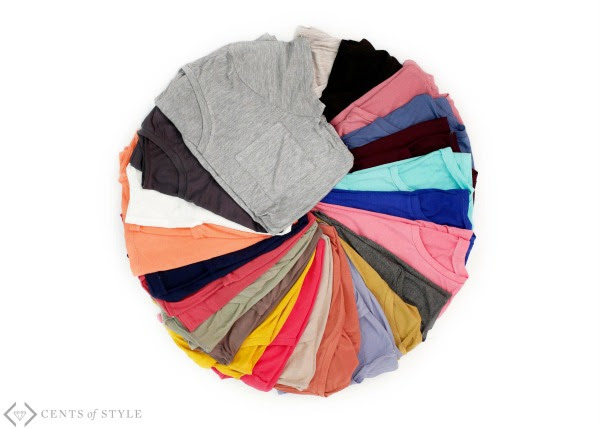 You know...the go-to, soft, easy to wear, comfiest things in our closets. 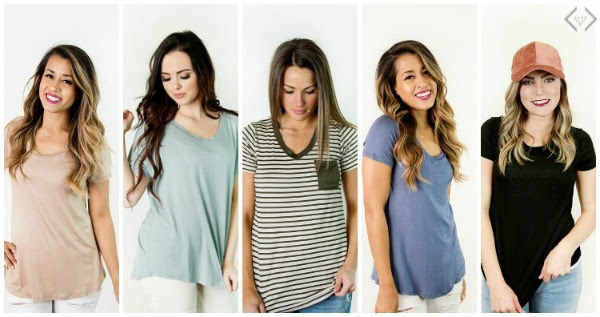 We'd be lying if we told you that comfy tees aren't our uniform from Spring Break to Back to School. We've compiled our favorites for 2 for $20 this week...and we think you'll love them as much as we do. You get to pick your mix of styles, colors, cross-back, pockets. Fit your personality, match your go-to shorts, skirts or jeans, and update your closet in a way that makes you giddy. It's pretty much the perfect deal - in tee form. With sizes S-2X and a rainbow of color options. 2 for $20 Tees and use the code is 2FORTEES and it will make the final price $20 when 2 tees are added to the cart + FREE SHIPPING.